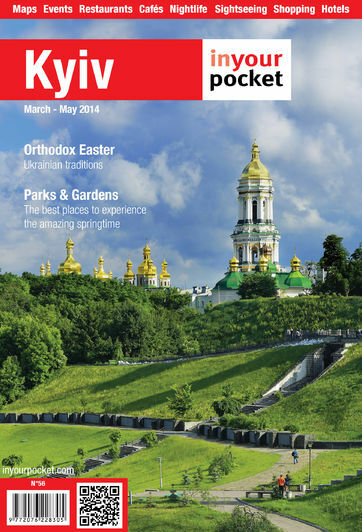 Kyivo-Pechers’ka Lavra, the monastery which made Kyiv the “Rome” of Orthodox Christianity and received pilgrims from all over Europe continues to attract droves of visitors today. Its territory of 28ha contains not only churches, towers and an underground cave system but also some of Kyiv's most interesting museums. First about the name - the Ukrainian ‘pechera’ means ‘cave’, while ‘Lavra’ is an Orthodox term given to its largest monastery. Founded in 1051 by monks Antoniy and Feodosiy, the Lavra was called to spread the newly-adopted Christian religion throughout Kyivan Rus. Monks worshipped, lived and were buried in caves, where a cool and humid atmosphere enabled their bodies to mummify naturally. This apparent miracle further enhanced the monastery’s reputation. The monks’ bodies have been almost perfectly preserved to this day, a fact you can see yourself by descending into the caves with a candle to lead the way. Of particular interest are those monks so humble that they only allowed their feet to be exposed. Women are required to wear scarves, which are provided if you don’t have your own. English tours can be arranged at the ticket kiosk or with nice old ladies inside the entrance. The Lavra became a leading religious and cultural focal point of Eastern Europe in the 12th century. Studios for icon painting and the creation of mosaics served many Kyiv churches, and a scriptorium oversaw translating of foreign literature into Slavic. The influential Slavic history “The Chronicle of Bygone Years” was written here by the historian Nestor. Other notable features include the burial site of Yuri Dolgorukiy, the founder of Moscow, inside the Church of the Saviour of Berestovo; and the 18th-century bell tower, the highest in all of Ukraine at 96m. Following years of Communist rule, the government has recently returned many buildings to the Orthodox Church. The monastery is once again operational in the form of Kyiv Theological Seminary and Academy. Open 09:00-18:00. Admission: adults 50Hr, children 25Hr. Free entrance on Independence Day August 24 and September 1.